This post about Things I Wish I Knew Before My Kitchen Remodel is brought to you by my relationship with Sears Home Services. All opinions are 100% my own. When we moved into our home 10 years ago, we gutted our kitchen to the studs. I felt both thrilled but overwhelmed about our kitchen remodel. I was 8 months pregnant with my third child when I had to make some expensive decisions about my dream gourmet kitchen. Ten years ago, the internet was not filled with pictures of great kitchens, so it may sound archaic but I resorted to looking at kitchen magazines for ideas. My husband really wanted cherry cabinets so that was the basis of our design. If I knew 10 years ago that I would be relying on natural light and my kitchen backsplash for my blogging business my kitchen would look quite different than it does. Don’t get me wrong, the kitchen selections from the cabinets to the flooring to the countertops were all beautiful just not very good for my food photography. 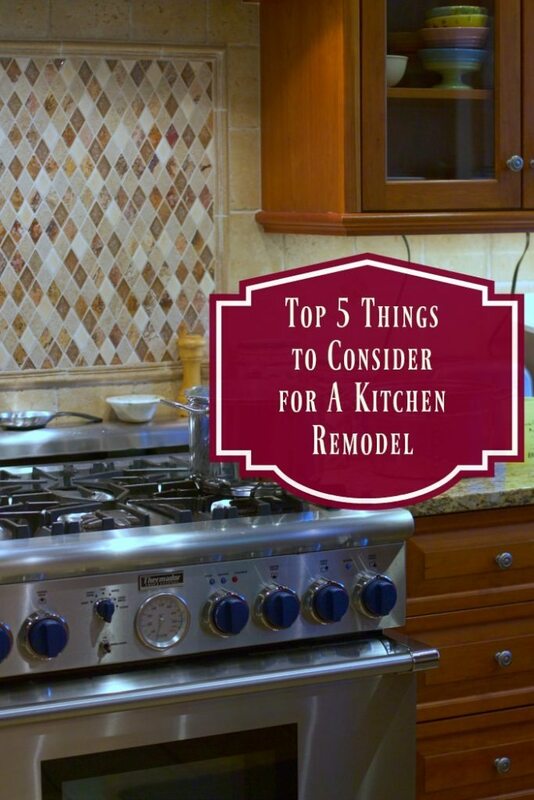 Kitchen remodels can range in price and every time I see a makeover show with my husband, we are amazed at the low price estimates some of these shows suggest for a total kitchen remodel. Part of that may have to do with the contractor and building materials you choose. Ours was willing to do the job in 4 weeks, so I could move into the house with a working kitchen. Sears Home Services offers great kitchen remodeling services for any budget. They provide personalized service with a free in-home consultation to discuss your options for a kitchen remodel including countertops, cabinets, flooring, hardware and accessories – which can all come together to create a kitchen worth smiling over. 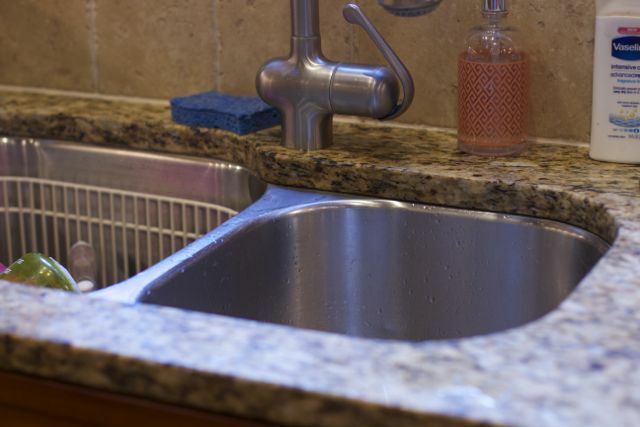 And, it’s not too late to spruce up your kitchen before the holidays! No contractor needed for this job and you can order what you need online most likely. Get creative and add your own personality. 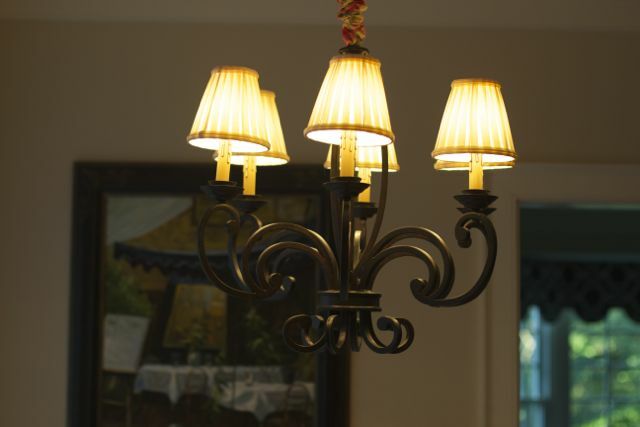 I wish I had more natural light in my kitchen but by adding functional fixtures you can get the brightness you desire. 4. 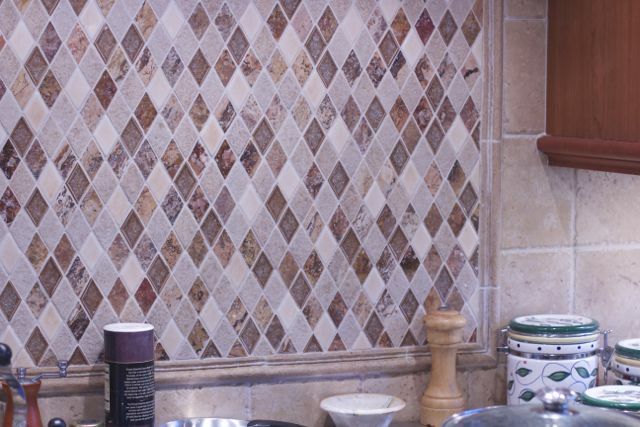 Add a backsplash. Not all tile is expensive, simple subway tile is inexpensive and allows you splurge on a few accent pieces to give your kitchen a spectacular burst of color. Get funky and have fun with it. 5. Give your cabinets a face-lift. I won’t be able to paint our cherry cabinets but if you have good quality cabinets distressing them in a light color can lighten up your kitchen space. What do you wish to change in your kitchen? These are great tips! We just did minor remodeling projects in our kitchen including paint and backsplash and wow…what a difference! I’m grateful for your tips! We just finished a master bath remodel and I learned a lot about what to expect and how to be flexible! Our kitchen is on the list next and there is so much more to consider! Really good advice. We just bought our first home and while the kitchen is in great shape, there is no backsplash behind the sink. Trust me, we need one! I have been considering subway tile so it’s good to know that it is affordable! Kudos to you for renovating while pregnant, btw. That is a lot! I too wish I had more natural light in my kitchen. A large window over-looking the backyard would be lovely. Thank you for the tips.